How Much Do Skins Actually Cost In Fortnite? Selling skins and other cosmetics items are the main way Epic Games make money on their popular battle royale title, Fortnite. 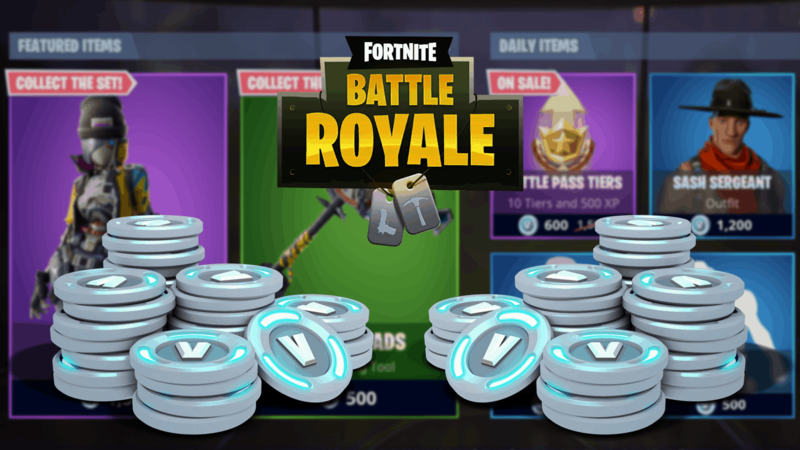 Like many other video games, Fortnite has its own in-game currency, V-Bucks. Having an extra step between the user spending money and getting their item makes it harder for the player to notice how much money they are spending. Especially because the conversation rate between dollars/euros to V-Bucks changes depending on the amount you buy. Learn more about how Fortnite makes money. Let’s do some calculations. Firstly, we need to find the conversion rate between real life money and V-Bucks. The following packages can currently be bought. Note that the price of for example the 1k V-Bucks package is 10 euro in Europe, but 10 dollars in the US. This means that V-Bucks in general are actually a little more expensive in Europe than in the US. Nevertheless, we’ll continue our calculations with dollars. The following packages will bring you this price per V-Buck. Based on the price of skins, it’s likely that the most bought V-Bucks package is the 2800 V-Bucks one for 25 dollars. Therefore, we’ll go with the price of $0.00893 per V-Bucks. Now we simply have to times this number with the number of V-Bucks a given skin costs. Let’s take a look at the new Revolt skin that hit the store at the time of this writing.